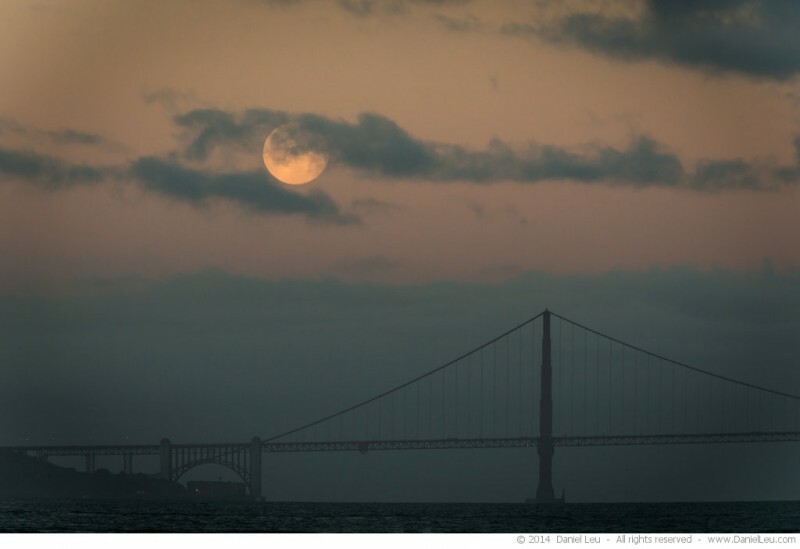 Two weeks ago, I got up early to capture the setting full moon over the Golden Gate Bridge. 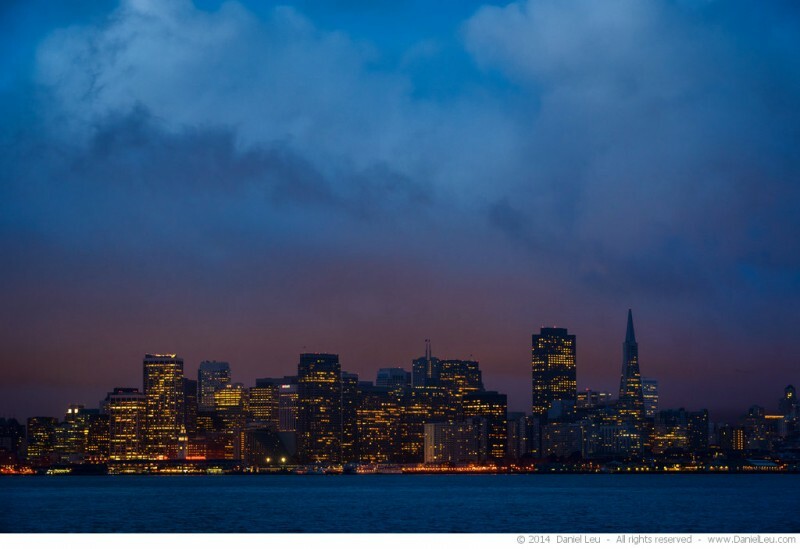 I arrived in time to get the first light on the San Francisco skyline. 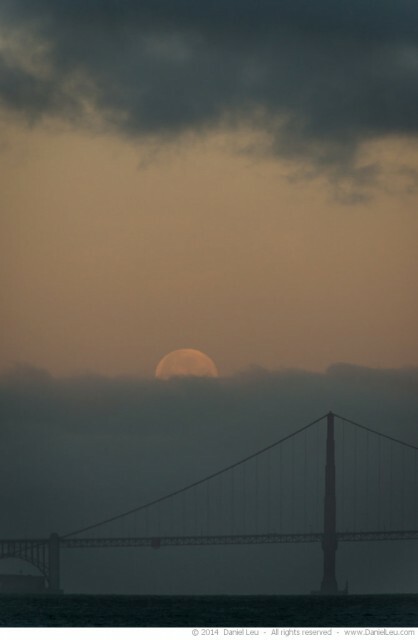 The moon was still high in the sky but I got worried about the fog behind the bridge. Sometimes just a little bit of wind can clear the fog. But not that day. The bank of fog stayed solid while the clouds above changed from minute to minute. 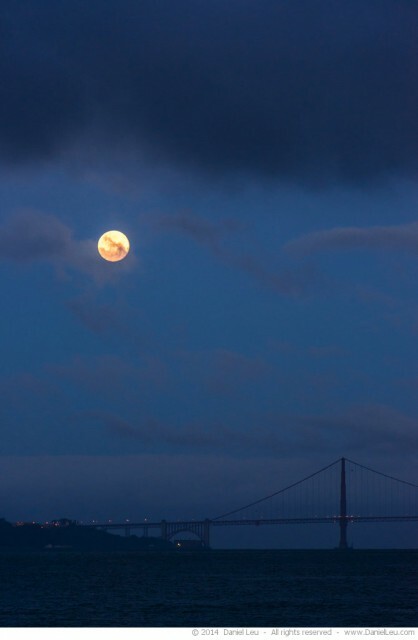 A few moments later, the moon sank behind the fog and the show was over. I am looking forward to the next time with hopefully less visual obstruction. But it is San Francisco where fog is a common occurrence, you never know what to expect.